Since 2005, a yearly Woody Allen movie has become as reliable as the tides and while our American friends have already gotten a chance to see his latest, Café Society, those of us on this side of the pond have a few more months to wait. Thankfully, a new trailer has come our way, packing in the usual amount of acerbic wit and gorgeous visuals we have come to expect from Allen, coupling them with a love story set against the backdrop fold Hollywood and a fantastic ensemble cast that includes Jesse Eisenberg, Steve Carell, Kristen Stewart, Blake Lively, and Corey Stoll. 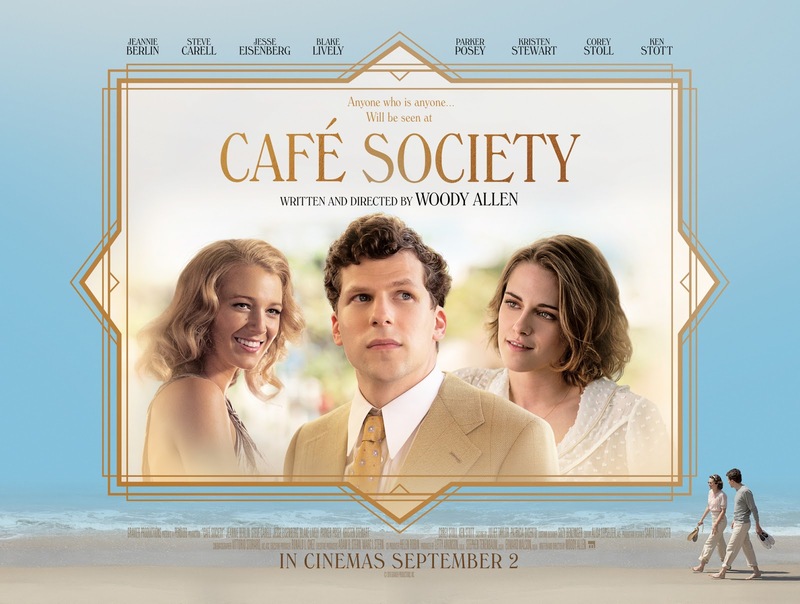 Synopsis: Set in the 1930s, Woody Allen’s bittersweet romance CAFÉ SOCIETY follows Bronx-born Bobby Dorfman (Jesse Eisenberg) to Hollywood, where he falls in love, and back to New York, where he is swept up in the vibrant world of high society nightclub life. Centering on events in the lives of Bobby’s colourful Bronx family, the film is a glittering valentine to the movie stars, socialites, playboys, debutantes, politicians, and gangsters who epitomised the excitement and glamour of the age. Poignant, and often hilarious, CAFÉ SOCIETY, a film with a novel’s sweep, takes us on a journey from pastel-clad dealmakers in plush Hollywood mansions, to the quarrels and tribulations of a humble Bronx family, to the rough-and-tumble violence of New York gangsters, to the sparkling surfaces and secret scandals of Manhattan high life.